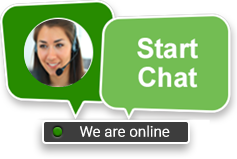 Why I Soft innovations for BPO? For decades, approximately 50% of financial institutions have chosen to process in-house and 50% to outsource. That trend is now slowly but surely changing with increasing numbers of banks opting to outsource. This is a collection of Internet banking interfaces, which automates all customer related tasks in a bank. Repetitive and time consuming tasks such as Close Accounts, Stop Payments, ATM / Credit Card Insurance, Event Contact Management and so on are transformed into a highly compact, fast and secure system. Banks also benefit from the increased turnover and customer satisfaction, which our product generates. eResearch does research on the check images and transaction data. A key feature of our eResearch product is the flexible, powerful search function. You can also search for specific items based on MICR fields. Our document imaging solution performs flexible searches by date range and provides image manipulation capabilities to zoom, rotate and annotate. This product allows you to view, print, and forward account statements via email. The statements include bar codes that help establish the authenticity. You can also make use of the customized printing options by institution or account. This product supports image notices and special handling functions. This product delivers image-enabled return processing. It also pulls exception items by code values and identifies the bank of first deposit for returned items. The product also presents images for signature verification and enables you to create return reasons.